When it first started making the rounds on the beauty scene a few years ago, I was quick to shun it without even bothering to find out what it actually was. I read the word 'water' and was promptly put off- I mean, why would I bother to pay for bottled water for my skin when it comes right out of the tap for free? Boy, was I wrong. As the product became more and more popular, I forced myself to revisit it and found myself completely dumbstruck at what a fantastic item I was missing out on. I tried to preach to all my friends and family about this new revolutionary skincare product but was met with the same arrogance I had held previously. Wanting to truly convert the skeptics, I researched into the product further and once I had learned the science behind it all, I was ready to tackle the cynical misbelievers into a new way of thinking. Today I bring you the science and beauty of the Bioderma Sensibio H2O Micellar Water, as a part of my entry in the Bioderma 20 Year Anniversary Competition. I hope you found the video informative and easy to follow, in this creative 'Draw My Life' format. Fingers crossed that my video gives me a small chance of winning this amazing competition! 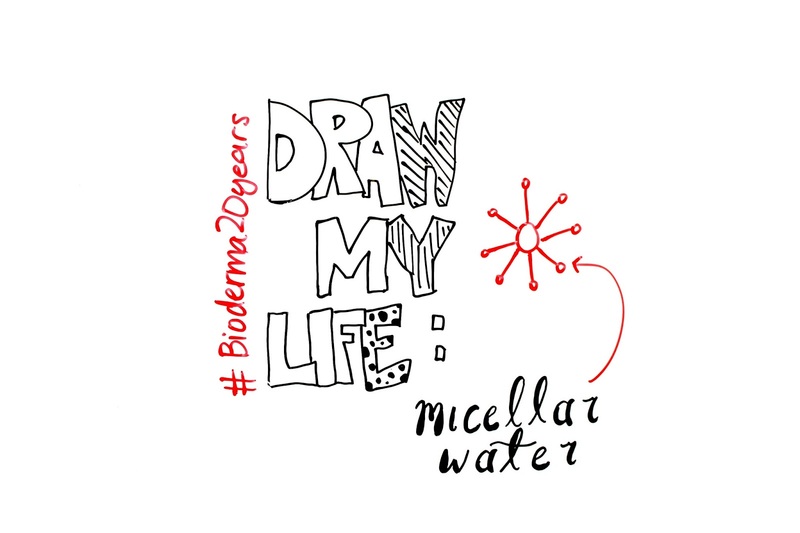 Are you a fan of Bioderma's Micellar Water too? Good luck with your entry! You're such a good drawer and I love the entire idea/concept of yours. I haven't tried micellar water yet, lately I've been pressed to find anything remotely negative about it. I didn't know about this micellar water before, and from your video, it sounds like a really good product to remove makeup and impurities ! Will have to try! And good luck on your video! You should most definitely give it a try- it's a product that revolutionised my skincare. You absolutely should Sarah, I think you'll love it! Ooh, I'm yet to try the Simple one, I'll have to check it out when my current one runs out!